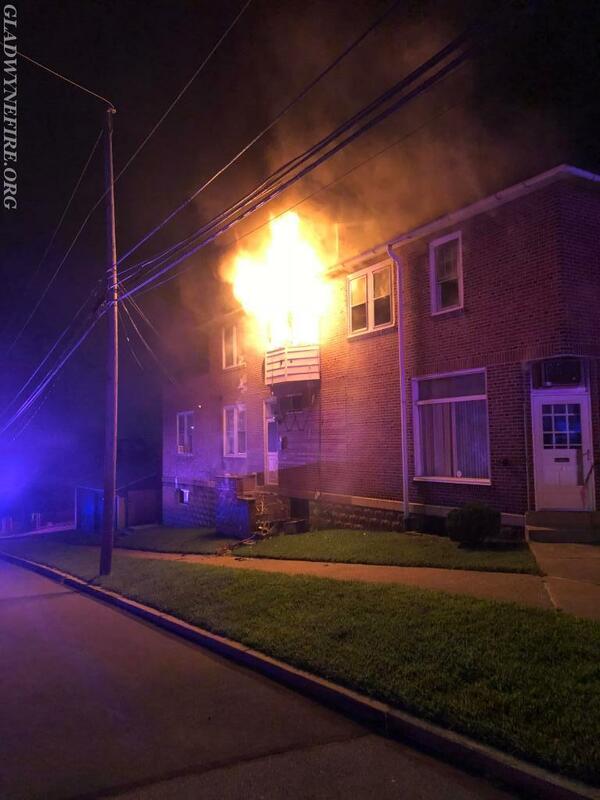 Gladwyne Firefighters were alerted to assist the Conshohocken Fire Department at 0417 hours this morning for a building fire. 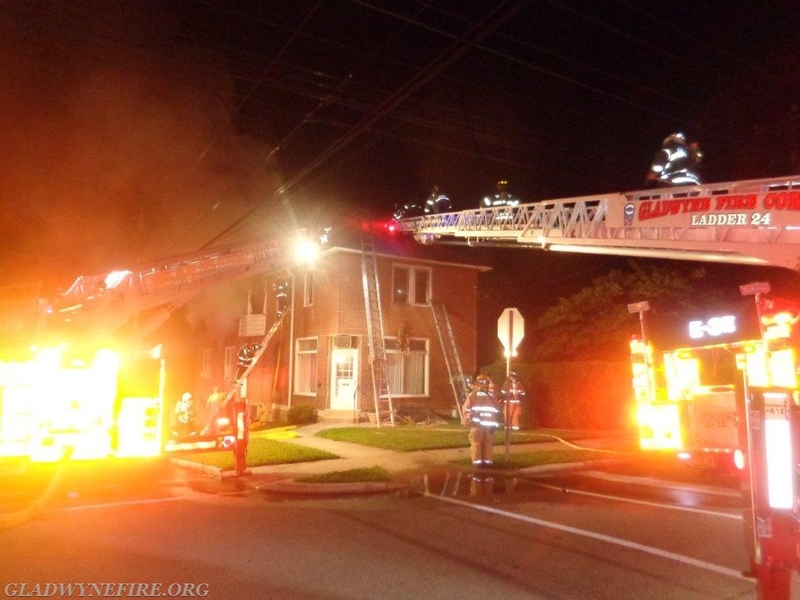 Upon arrival Ladder 24 was re-assigned from the RIT team to ladder the roof and commence roof operations. 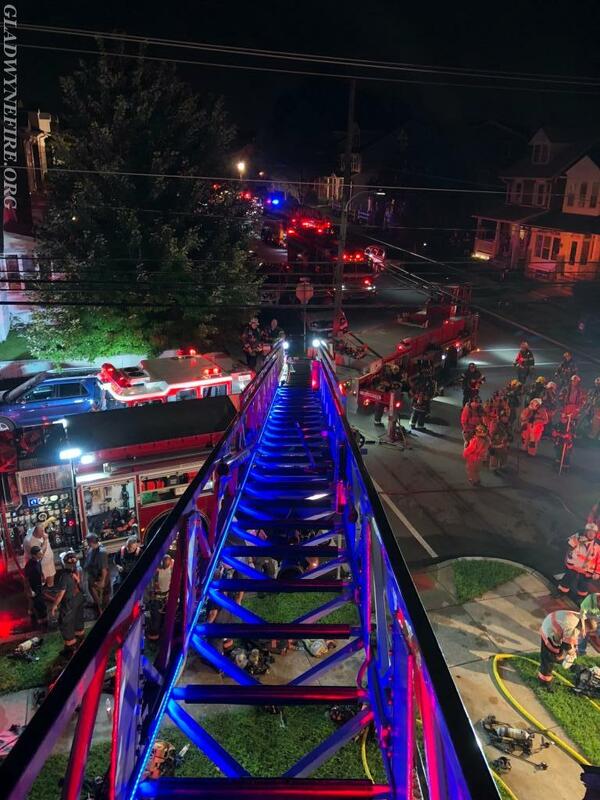 Ladder 24 went in service opening up the roof and the other half of the crew of 9 assisted with interior firefighting operations. 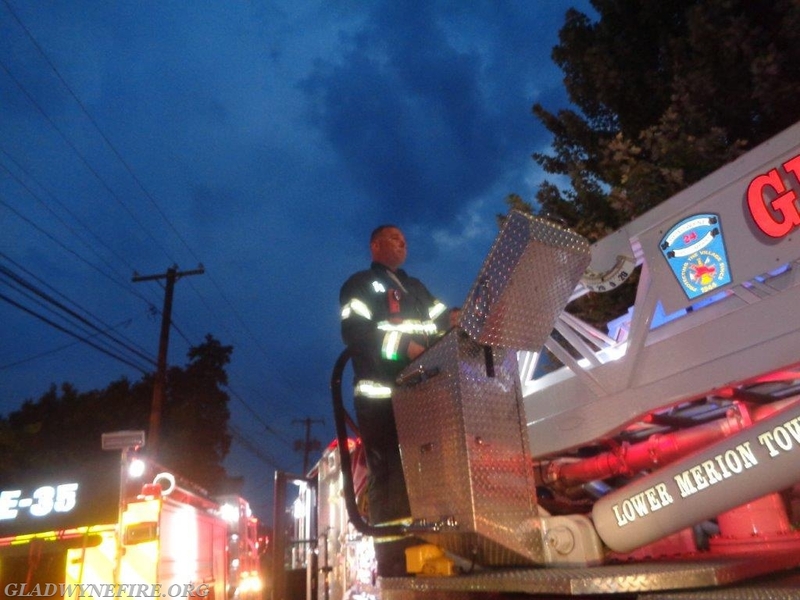 Ladder 24 returned to Gladwyne at 0615. 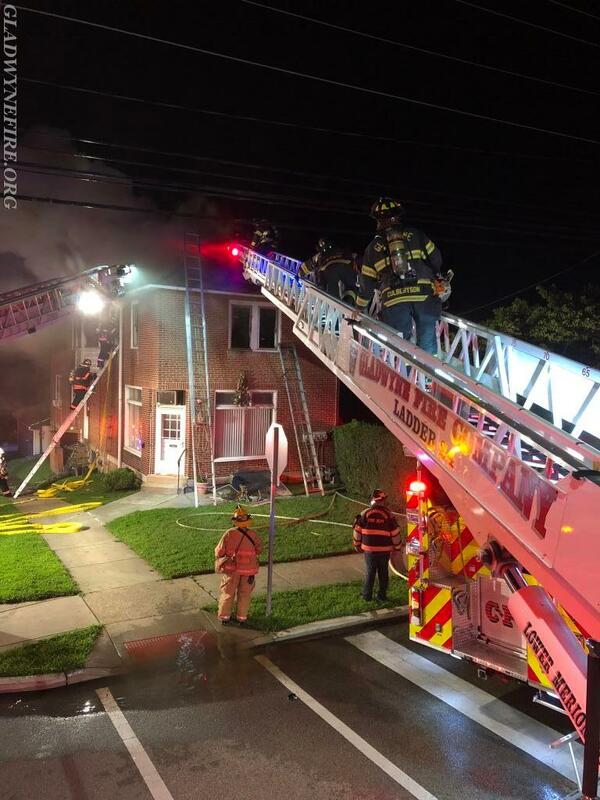 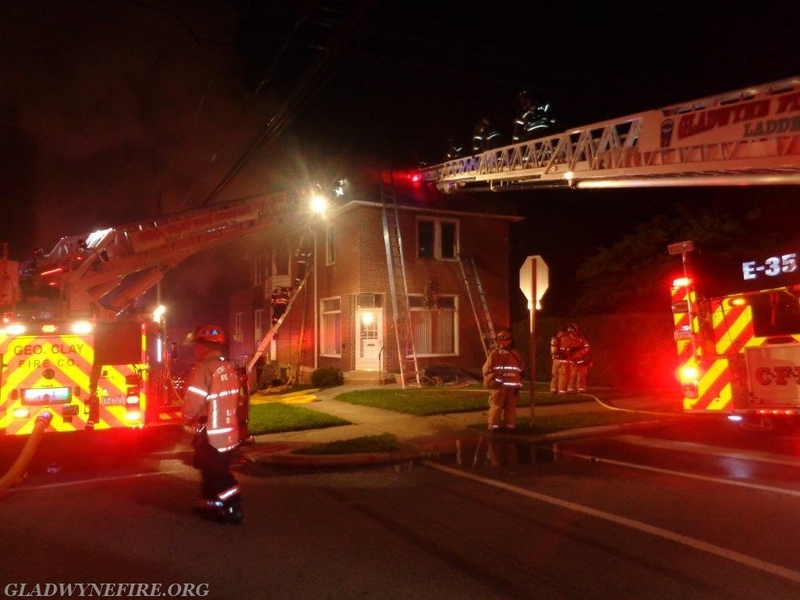 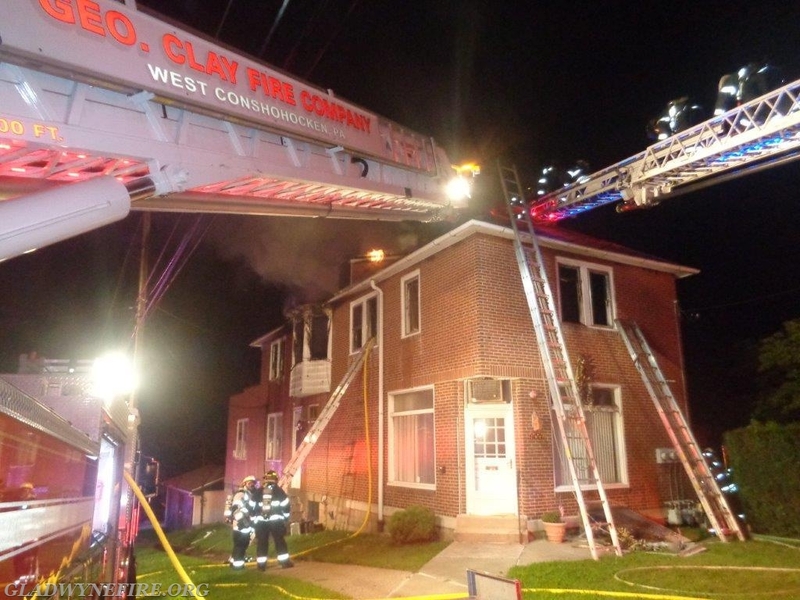 Additional Gladwyne Firefighters staffed the station while the ladder was in Conshohocken.